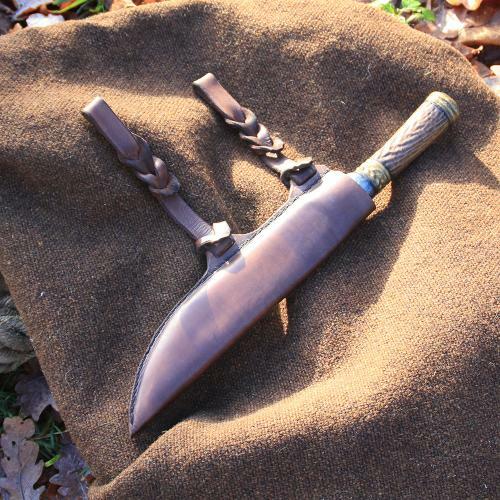 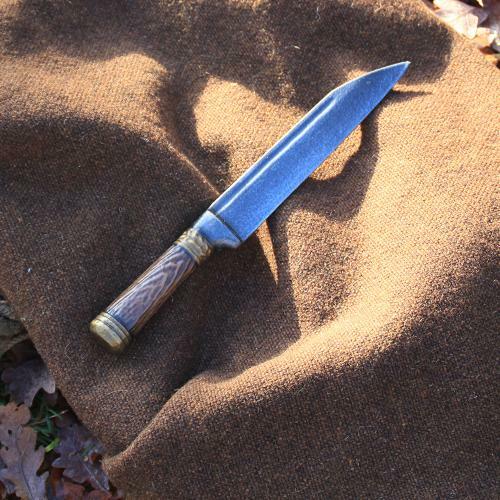 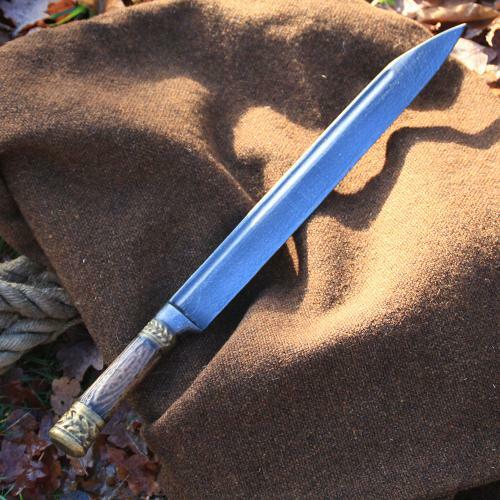 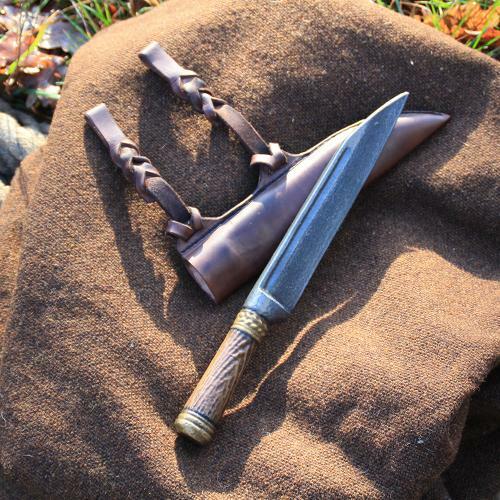 This pretty leather sheath suits our Sax-dagger Ragnar. 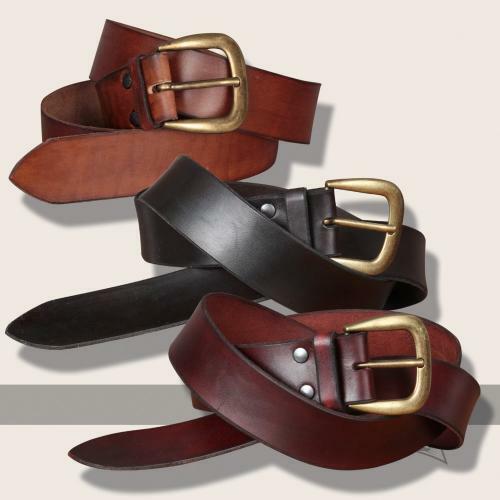 It can be worn either in the front or the back by putting the two braided loops through your belt. It is suitable for right- and left-handed persons alike. 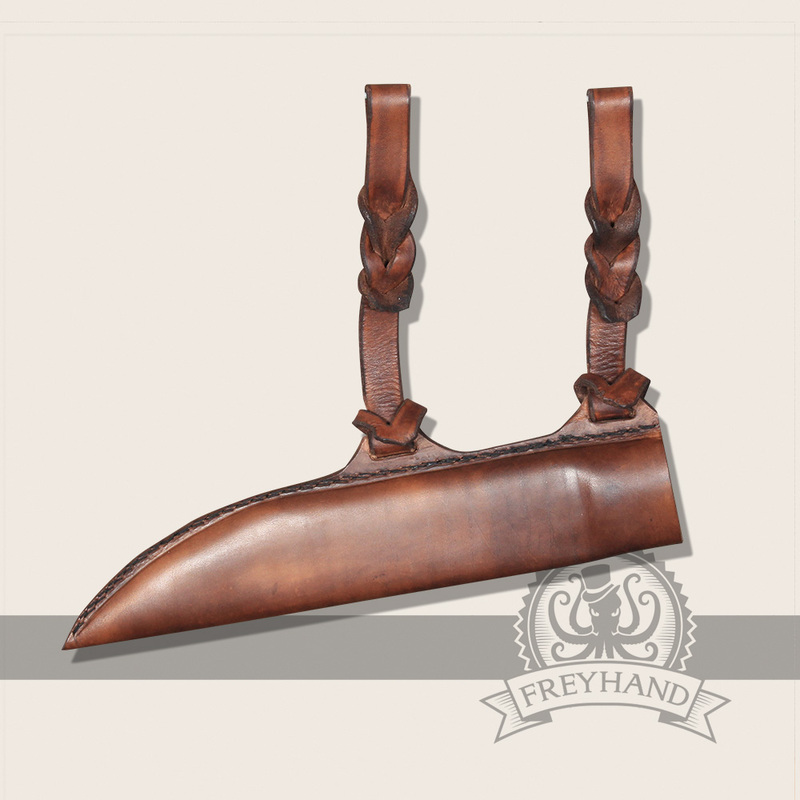 We offer this nice leather sheath in combination with the Sax-dagger as a set with at a reduced price.